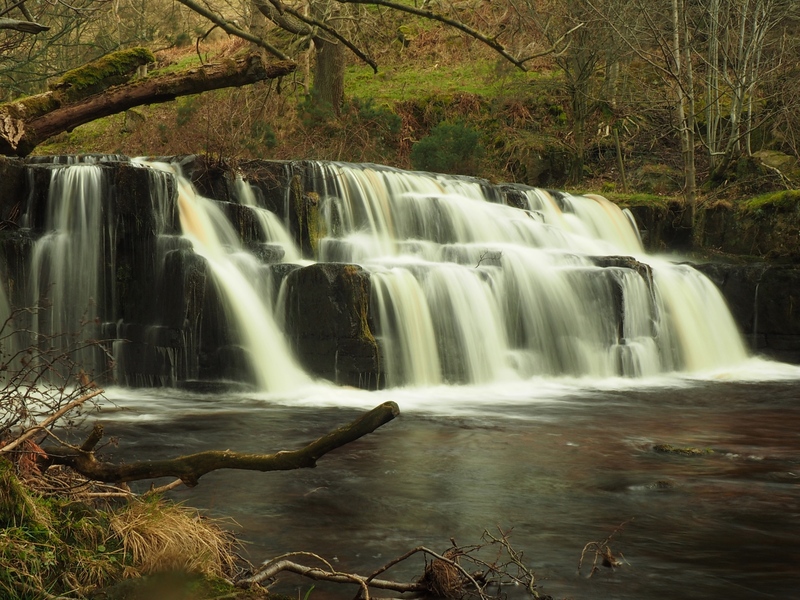 Orgate Force is a splendid little single drop waterfall on Marske Beck, situated a mile and half upstream from the small village of Marske in Swaledale. 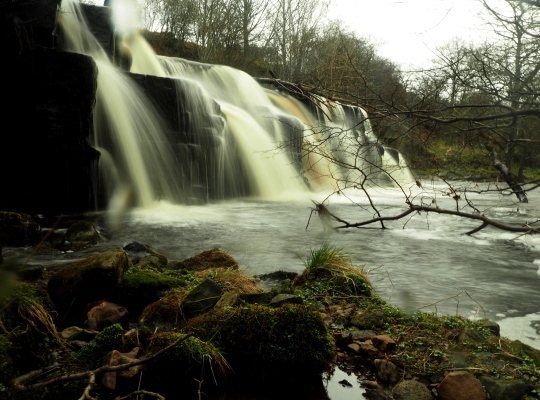 The whole Marske valley is entirely delightful and Orgate Force is one of the highlights. 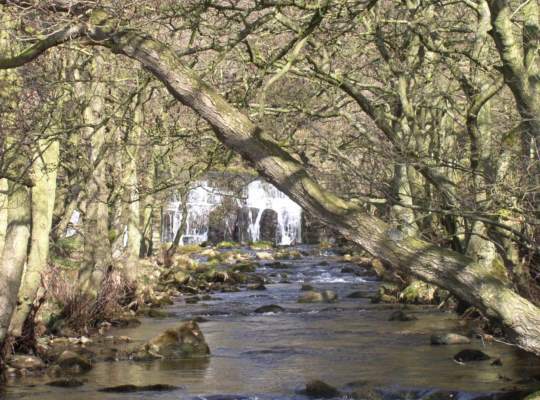 The waterfall can be viewed by either walking up the valley road to the access track to Orgate Farm or, more interestingly, by taking the track through Clint Woods before dropping down to Orgate Bridge. The waterfall can just about be seen from the footbridge and indeed that was the only view I had on my first visit in 2006. The reason for not getting closer on that occasion was the sign next to the footbridge telling people to stick to the path. On my second visit ten years later there were two trodden paths heading upstream to the waterfall from the bridge so presumably access is tolerated.